The wet and windy weather might not have been perfect for the occasion, but the mood was bright and optimistic for our Class of 2016 students as they celebrated graduation day in Liverpool. 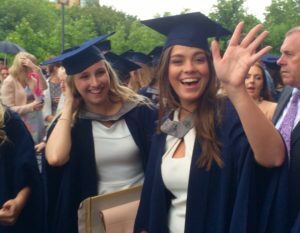 Friends and family gathered to honour the Journalism and International Journalism graduates on their special day at a ceremony watched by hundreds inside the Anglican Cathedral. After the traditional congratulations up on stage, the party moved on to LJMU’s Redmonds Building as glasses were raised to toast the departing year and prizes were awarded to those who had excelled. Noor Ali; Conor Allison; Astra Armitt; Jessica Arnell; Rochelle Beighton; Christy Jade Biggar; Stephanie Bocking; Jessica Bond; Katie Braithwaite; Nathan Burgess; Steven Carson; Amy Cole; Beth Collins: Sophie Corcoran; Beth Cronin; Matt Crosby; Ben Cummings; Emily Curren; Lucy Darbyshire; Eleanor Davies; Sam Davies; Alex Duncan; James Gamble; Vaiva Gedvilaite; Laura Gilchrist; Alex Gorton; Caoimhe Harkin; Michael Henry; Kate Hewison; Hannah Hodgson; Beth Hughes; Jessica Jones; Ryan Jones; Leigh Kimmins; Jenny Kirkham; James Knowles; Adam Lawrance; Connor Lynch; Charlotte Mann; Tiernan McGee; Lucy Nixon; Lewis Phillips-Calvert; Lewis Price; Amber Pritchard; Lisa Rimmer; Barry Rocks; Hannah Rogers; Kamara Samuels; Sophie Sear; Callum Smyth; Elle Spencer; Stephanie Sweeney; Jack Whitehead.